● Shop for $100 or more to receive free shipping within the continental US. ● Become a VIP and 10% will be taken off every order. You will also receive reduced/free shipping and other perks. ● Shop the Outlet Store for savings up to 85% and check out the Deal of the Hour for hourly changing specials on featured items. ● You will mainly be able to find coupons for free shipping without a minimum purchase, but keep checking back and they might release coupons for larger discounts. ● You can find select products under $75 here; under $40 here; under $25 here; and under $10 here. Paintball Online is a website that sells paintball gear and guns for paintball enthusiasts and hobbyists for a relatively lower price than other paintball merchandise stores in the market. This website has a wide range of items including guns, masks, goggles, clothing, armor, as well as paintballs and grenades that make it a reliable source for paintball products and merchandise. 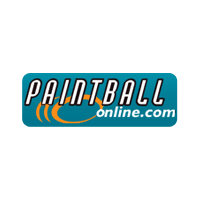 Paintball Online allows consumers to place orders online and also delivers for free with orders exceeding 100 USD. This compant also has a physical store in Tennessee for those seeking to handle and deliberate their purchases first hand. For most up to date offers check out Paintball Online on Facebook and Twitter or contact Paintball Online Support for any questions.